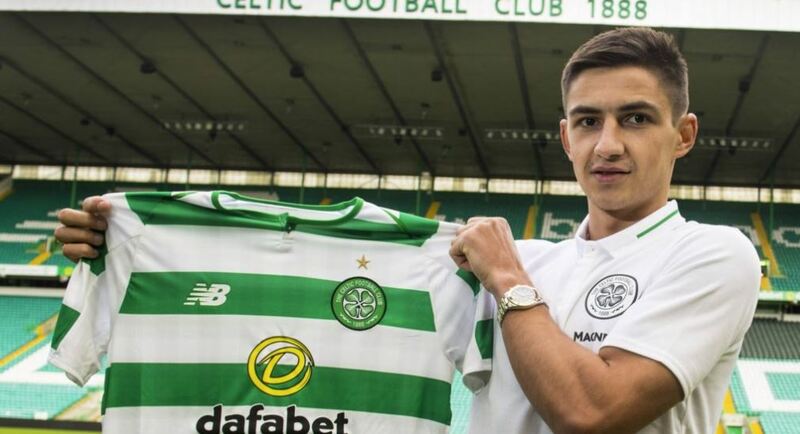 Maryan Shved, the Ukrainian midfielder has officially signed in with Celtic FC. The press office of the team reported that on Friday. The 21-year-old winger of Karpaty Lviv signed the contract for 4.5 years, becoming the asset of the Scottish team. However, he still won't be able to play for Celtic until autumn. For the remainder of the season, he'll have to stay with Karpaty where he previously belonged. Karpaty made some two million Euros on the transfer. Maryan Shved is a young football talent who graduated from Karpaty Lviv's football school. His professional debut took place in the 2014-2015 season. In 2015, he left Karpaty and moved to Sevilla. He spent two years there, failing to make it to the starting eleven. Shved returned to Karpaty in 2017, scoring 14 goals on 32 games, including two goals in the game against Dynamo Kyiv. He also has performed for the national team of Ukraine.